LEARN MORE ABOUT DIGITAL SOLUTIONS! If you were told to evacuate right now, would you be ready? Would you still have a practice when it was safe to return? Louisiana State University (LSU) neurologist Diana Barratt, MD, MPH, had been through the drill several times before. So when Katrina forced her to evacuate, she took a laptop that held crucial files: her research grant proposals, copies of her flood and homeowner's insurance, and a ready-to-go folder that held her passport, car insurance information, social security card, and marriage license. Lastly, just to be safe, she e-mailed her sister a list of her insurance policies, bank locations, and account numbers. Until approximately 6,000 physicians were displaced by Katrina, most of us had not given this question much thought. Now that we all know colleagues who have been affected, it is not hard to imagine ourselves in their place. But we have the advantage of formulating a disaster recovery plan before catastrophe strikes. We spoke to physicians who experienced Hurricanes Rita and Katrina, as well as other experts in emergency planning. They offered these strategies for “riding out the storms” – all worth putting on your “to do” list now. Create a file of all medical credentials and keep a duplicate in a remote location. Many professionals who sought to re-establish a practice after Katrina were confronted with endless bureaucratic roadblocks because they lacked proof of their credentials. Some residents without documents had trouble transferring to other training programs, and, although several states eased licensing requirements in the aftermath of the hurricanes, those who applied for a new license are enduring delays due to a massive influx of applications. Consider scanning your credentials into a digital format and e-mailing the file or placing it onto a thumb [flash] drive for safekeeping. If this sounds time-consuming, just remember how long it took to get your medical license in the first place. Alternatively, as Dr. Barratt advises, maintain licenses in several states so you can temporarily or permanently relocate, and maintain and update a file with the Federation of State Medical Boards. Back up your billing system daily. Paul Q. Proffitt, DO, is one of three neurologists whose Port Arthur, TX, practice was forced to unexpectedly evacuate when Hurricane Rita changed course on September 21. Fortunately, despite a waiting room full of patients, his office manager succeeded in performing a whole system backup, making disks for each staff member. Most offices have an established routine for preserving the billing, scheduling, and practice management system on a disk or tape. Make sure your office is in the habit of performing this task each evening, before the system is shut down – unless you are willing to forfeit that day or week in terms of billing. It is equally important to have more than one person take home the copies or to consider a remote backup system that can store information off-site. If you're in a disaster-prone area, that backup should be very remote, so that if an entire electrical grid goes out – as it did during the eight-state power outage of August 14, 2003 – the risk of data loss can be minimized. Make the switch from paper to electronic health records. 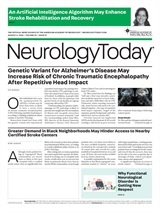 Cecelia Swick, office manager of the five-person neurology group, Neurological Consultants in Sacramento, CA, was watching television on July 27 when news of a five-alarm fire in a medical office building on University Avenue crept across the screen. Her office was on University Avenue; what if all her patient records, which were on paper, were destroyed? “I figured the only way to reconstruct them was to extract the names of the referring physicians from our billing system and request copies,” she said. Mercifully, it was not her building but the office on the next block that burned to the ground. “It was a close call,” Ms. Swick said, adding that her office has been trying to find an affordable electronic health record (EHR). Ms. Swick's strategy of reconstructing paper charts, time-consuming to say the least, might not have worked at all in a catastrophe on the scale of Katrina. What if the entire medical infrastructure were to be in disarray, as it was in New Orleans? Who would make all the copies and how would the costs be defrayed? What about other external documents: labs, radiology reports, and hospital records? Insurance that covers valuable papers does cover the cost of duplicating crucial documents, but the time and energy required to reconstruct an entire practice's medical records makes switching to an EHR the most efficient solution. “There was a big difference in how we were able to care for those patients – especially surgical patients – when records were available,” agreed Thomas A. Kent, MD, Chief of Neurology at the Michael E. DeBakey Veterans Affairs (VA) Medical Center in Houston. Dr. Kent said that physicians spent several days triaging emergency patients, both veterans and non-veterans, into Houston's various hospitals. Because the VA uses a computerized patient record system and all records from the New Orleans VA had been backed up by the time the levees broke, all their patient records, prescriptions, laboratories and radiology results were transferred and online by September 2. Although during mandatory evacuations, patients will have left the area too, it is wise to have a plan for disruptions that may only affect your building, for example. Ask your telephone company if calls can be forwarded to another telephone number or how arrangements can be made for a temporary message to be played. Alternatively, set up a Web site or Web log that can be accessed anywhere. Ron Hernandez, an electromyography technician in the LSU Neurology Department, created a blog in the wake of Katrina that evolved to become the information nexus for the entire department. The site furnished contact information on displaced residents, fellows, faculty, and staff as well as updates on critical matters such as insurance coverage, payroll, FEMA, and designated times of conference calls. Develop a plan for coping with power loss, or get a generator. If you were to lose electricity, consider the immediate effects. If elevators were to stop working, would all your patients be able to handle the stairs? How would you quickly transport those who needed extra help? How would you negotiate total darkness in hallways and stairwells? With telephone and computer systems down, how would you know what was going on outside or communicate your need for help? Longer term, what refrigerated supplies – some medications for multiple sclerosis, for example – would be at risk? When Dr. Proffitt's staff left the office, his office manager emptied their refrigerator of botulinum toxin-type A and carried it out in hopes of finding cool storage. But how much can you carry? And where would you find suitable storage soon enough? Emergency response organizations or your local fire department can help you establish a plan for handling power loss at your office, including having on hand flashlights and batteries and cell phones. Admiral Carmona advises that a battery-powered radio be kept on premises as well. Alternatively, consider installing a back-up generator – not simply to put the lights and refrigerators back on, but to keep medical monitors, computers, telephones, fax, and televisions up and running. Many of those who were evacuated by Katrina found themselves unable to access their bank accounts because power loss and flooding had knocked out not only the ATMs but also the banks' data systems. In areas without power, you will be unable to use credit cards, and without cash might be unable to fill up your gas tank. Dr. Barratt advises you to open a checking account with a national as well as local bank that has online access and enough money in it to prevent you from making withdrawals from your retirement accounts once your cash-on-hand runs out. When buying business interruption insurance, consider buying with it Extra Expense insurance, which covers expenses over and above normal operating expenses – rent of substitute space, replacement or rental of computers and other business equipment, and installation of telephone lines. Traditional property insurance will cover your existing office and its contents, but for adequate reimbursement you'll need a current valuation of your total on-site investment. An appraisal figure from several years back may not adequately reimburse today's replacement costs. Finally, consider payroll insurance. Dr. Proffitt's office has been closed as of the time of this interview, day 17, because power has yet to be restored. Not having envisioned such a prolonged disruption, the practice did not carry payroll insurance. While the doctors continue to pay their staff, they have done so by forfeiting paychecks themselves. Dr. Orly Avitzur will be discussing the subject of electronic health records at the AAN Winter Regional Electronic Office course in Las Vegas on January 14, 2006. The course, directed by Dr. Neil Busis, will also cover the latest in handheld technology, Internet resources, and computerized practice management tools.